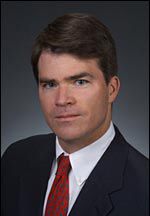 David Finn is a trial lawyer by temperament and training. As a former criminal trial judge and federal prosecutor, Finn knows the justice system. Finn is board certified in state and federal criminal law, and he will aggressively fight to protect your rights. Finn is a frequent guest on local and national legal programs, including Court TV. Finn is A-V rated by Martindale-Hubbell, their highest rating.